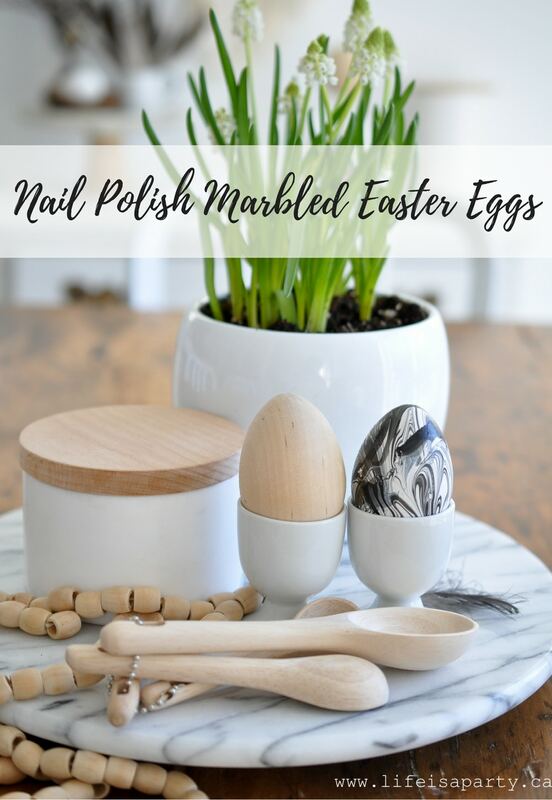 Nail Polish Marbled Easter Eggs: easy water marbling with nail polish is the perfect modern touch to your Easter eggs. I loved trying my hand at water marbling with nail polish for these Valentine’s Day Hearts. 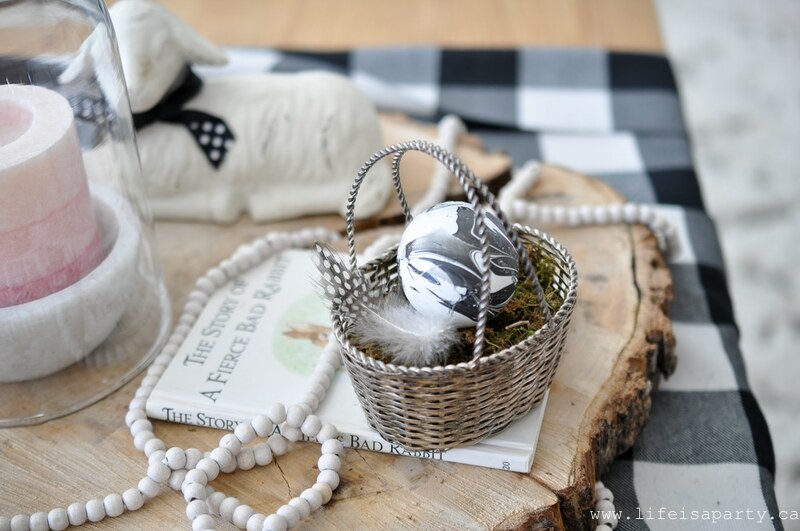 For Easter this year I knew I wanted to use black and white and thought these marble eggs were the perfect addition. 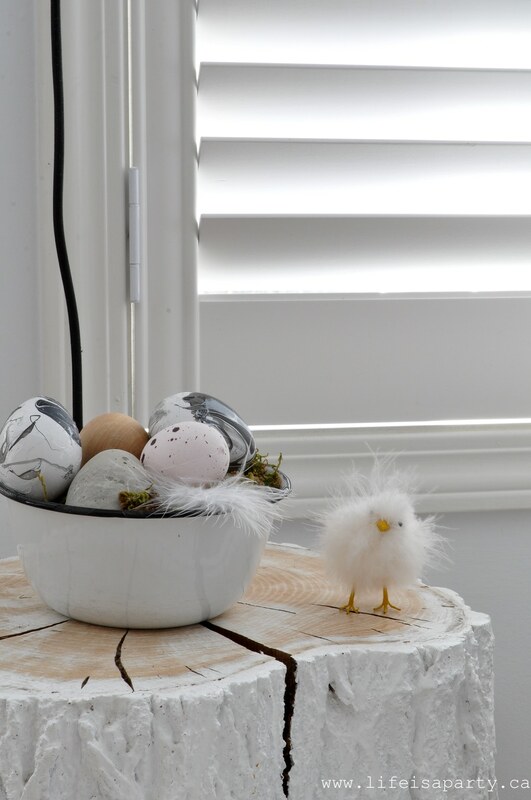 These are really simple to make and fun craft to make with the kids. 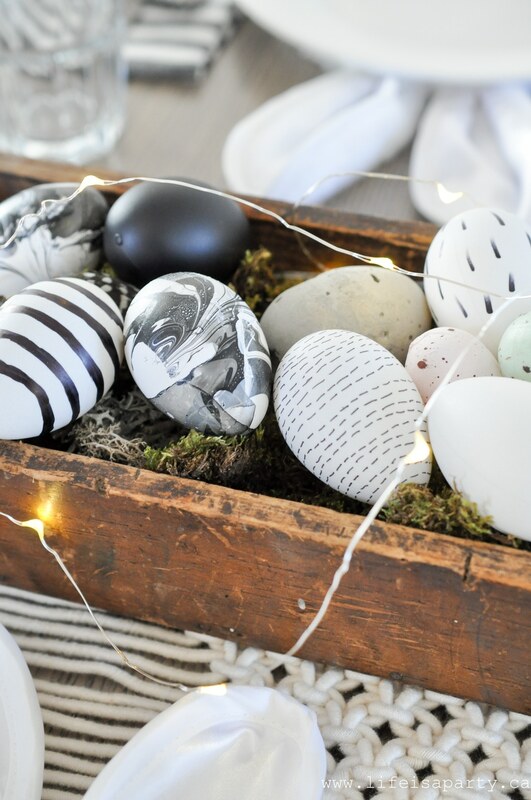 You could do these in any colours -black and white like mine, bright and colourful, or traditional Easter pastels. 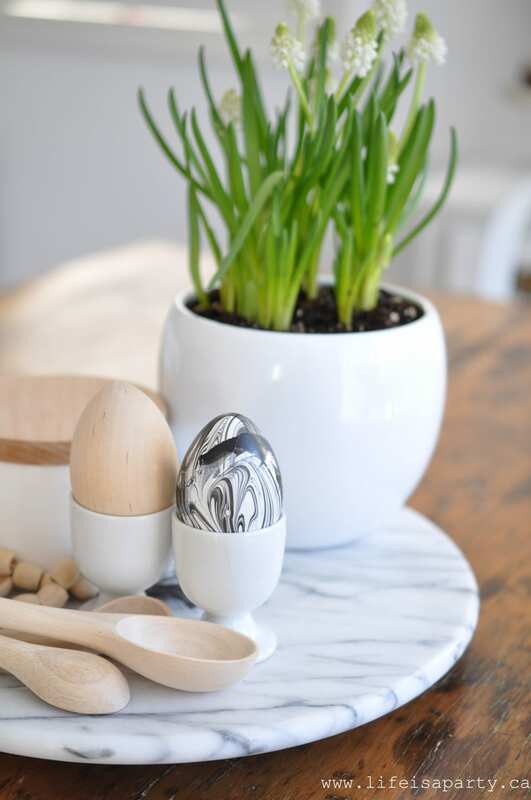 To make the eggs, fill your container with water. Drop the nail polish onto the surface of the water (since it’s oil based it will not mix with the water, but float on the surface of it). Use a toothpick to swirl the colours of the nail polish together and create the marble effect. Dip the eggs in and then let them dry. If the whole surface isn’t marbled, once their dry dip them again. Sometimes projects like these are easier to see than explain, so here’s a short video of how to make them. 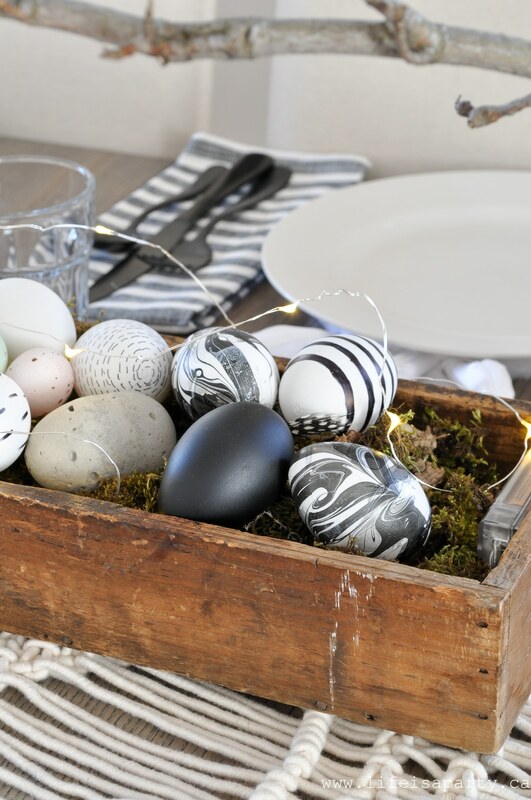 These nail polish marbled eggs will be a great addition to your Easter decor this year. With Nail Polish Marbled Easter Eggs, life really is a party!